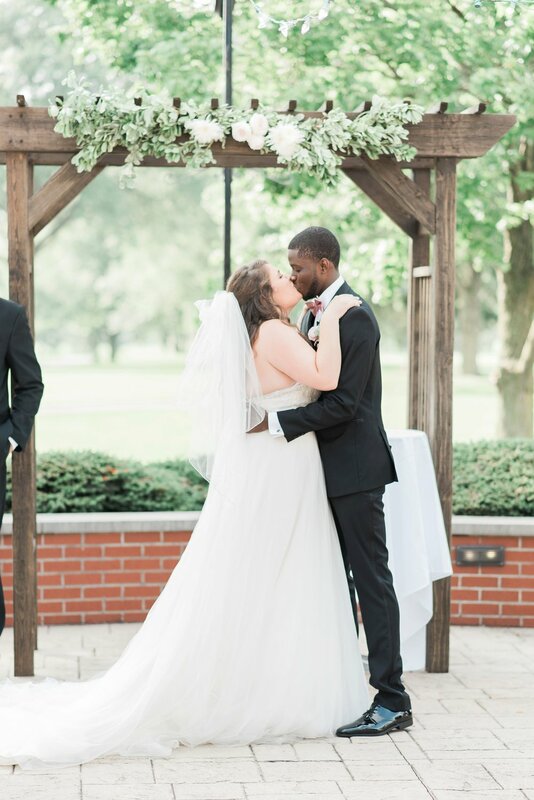 Meg and Evan's wedding day at Worthington Hills Country Club was an absolute dream, and I am so honored to have been a part of this day for such an amazing couple! Meg and Evan are so in love with each other and in love with the Lord, and I loved how their wedding day was a reflection of that. Meg was so calm and having so much fun with her bridesmaids as they all got ready -- even with some rain in the forecast, potentially threatening the outside ceremony they planned. But not only did the rain stay away, we also got the most perfect sunset I think I have shot all year! Meg was absolutely stunning in her gown, and her jewelry was her grandmother's -- so sweet! 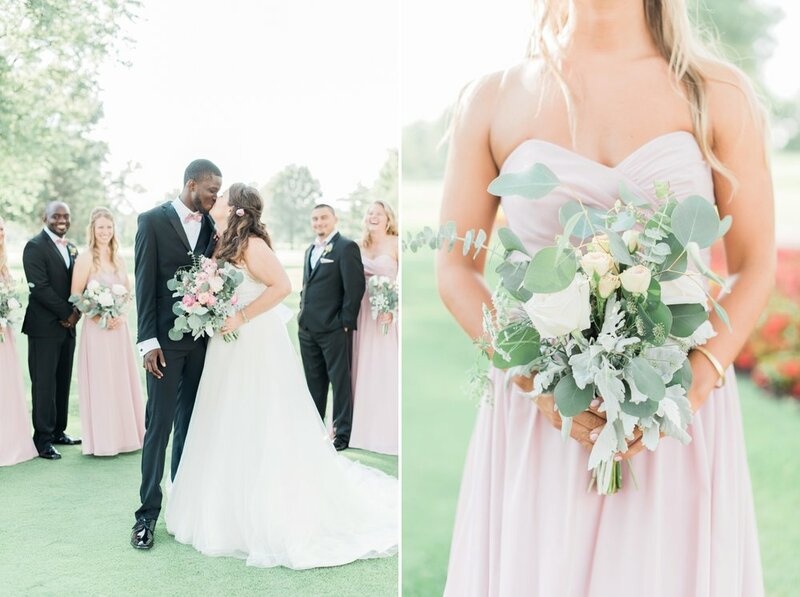 I'm in love with the combination of the classic black tuxes and dusty pink gowns that they chose for the bridal party, accented by the stunning and whimsical floral arrangements created by The Joy Enthusiast! Before the ceremony, Meg shared a First Look with her father and had a special time of prayer with her bridesmaids. Meg and Evan also wrote personal vows to each other, which they read before the ceremony (in the cutest little vow booklets I might add, which I am just a little obsessed with). Meg and Evan, it's been a blast getting to know you both over the past few months -- thank you, thank you for letting me capture this amazing day for you! Hope you're having the best time in Cancun!